It's not quite as detailed as the version many thought Lego had leaked in a video a few months ago, but it turns out the SHIELD Helicarrier is very much a real set and is as awesome as anyone could have hoped for. Pricing is US $349.99 – CA $399.99 – DE 349.99€ – UK £269.99 – DK 2999.00 DKK for The SHIELD Helicarrier (76042), piece count is 2,996 elements and comes with five Avengers minifigs and 12 all new super detailed microfigures when it's officially available March 1st. That gives you just a little over a month to clear a spot for this in your collection. 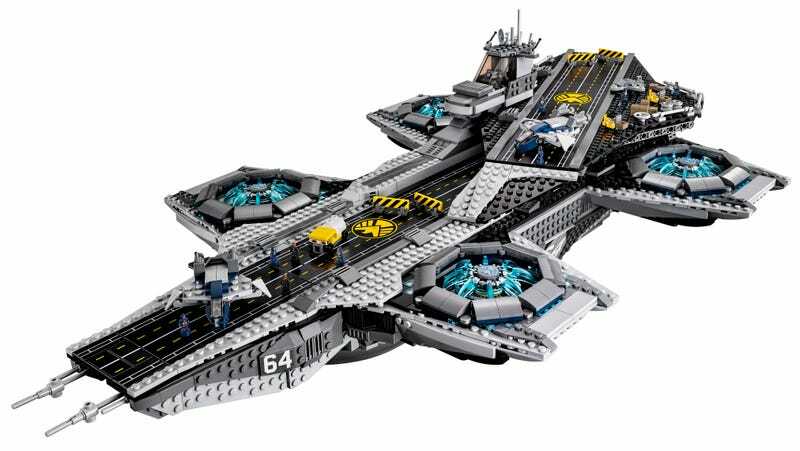 76042 The SHIELD Helicarrier, 2,996 pieces. Lastly, here is a short video with the designer of the set explaining its build and functionality.